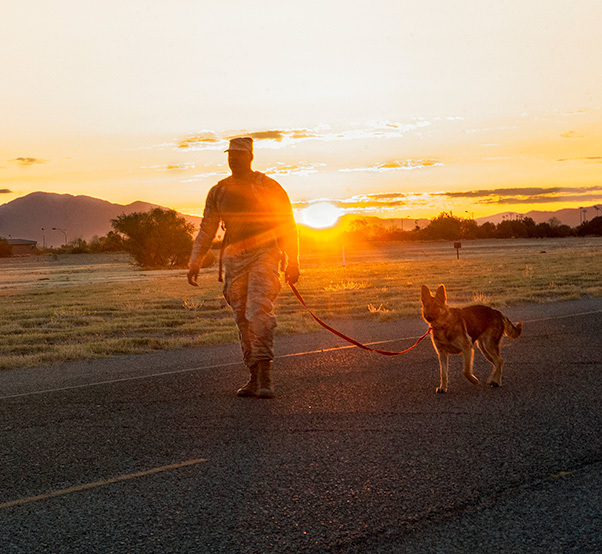 A U.S. Air Force Airman participates in a ruck march during police week alongside his German Shepard Dog at Davis-Monthan Air Force Base, Ariz., May 14, 2018. Police week serves as an opportunity to pay tribute to law enforcement officers who lost their lives in the line of duty as well as a reminder to appreciate those keeping the community safe every day. Davis-Monthan Air Force Base in Arizona will participate in National Police Week from May 13-19, 2018. Police Week is held each year to commemorate fallen law enforcement officers and highlight the security forces mission. “Police Week gives law enforcement officers the opportunity to memorialize and pay respects to our fallen officers,” said Master Sgt. Megan Harper, 355th Security Forces Squadron swing shift flight chief. 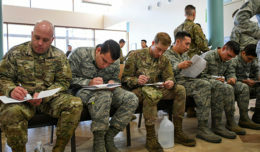 Defenders from the 355th SFS, Air Force Office of Special Investigations as well as members of local and federal law enforcement agencies will participate in various activities throughout the week. These activities include a ruck march, shooting competition, golf tournament and a community engagement workshop. 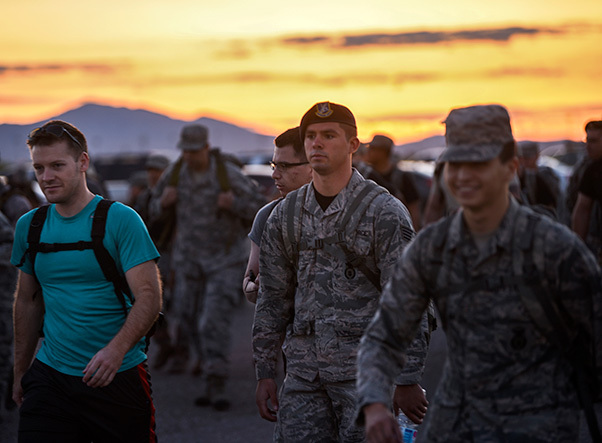 U.S. Air Force Airmen participate in a ruck march during police week at Davis-Monthan Air Force Base, Ariz., May 14, 2018. Police week serves as an opportunity to pay tribute to law enforcement officers who lost their lives in the line of duty as well as a reminder to appreciate those keeping the community safe every day. 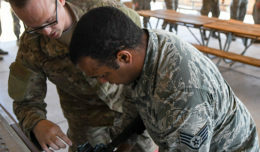 The community engagement event will showcase the 355th SFS’s varied mission set and will include vehicles, a military working dog exercise and OSI will offer child identification kits. Police week events will conclude on May 18, 2018 with a retreat ceremony at Heritage Park. The ceremony will commemorate the 14 defenders that have been killed in actions since the attacks on Sept. 11, 2001, and will include a reading of their names and a flag folding. 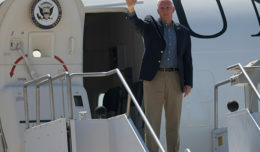 “I believe police week is the best way to showcase what we do as defenders day in and day out as well as take time to memorialize those that made that final sacrifice,” said Harper. 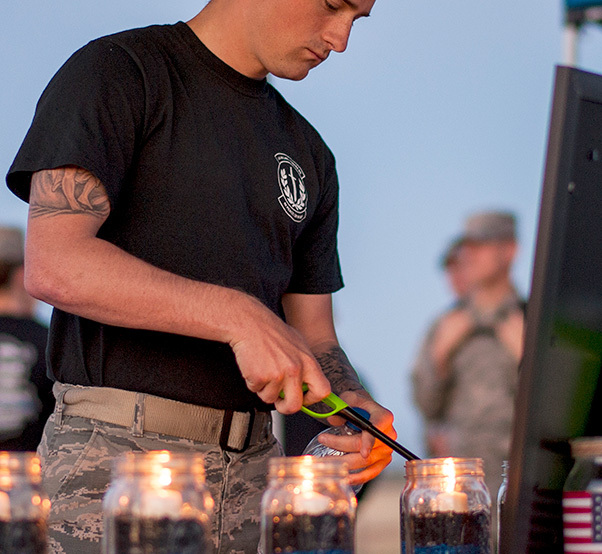 A U.S. Air Force Airman lights a candle to pay respects to fallen security forces members during the police week kick-off at Davis-Monthan Air Force Base, Ariz., May 14, 2018. 14 defenders have been killed in action since the attacks on September 11th 2001.